On Tuesday 6 November Perisher employees gave back to the Snowy Mountains community as a part of its EpicPromise Day, an annual event that is part of a Vail Resorts companywide initiative. Perisher staff completed projects within the Snowy Mountains partnering with local community groups including Jindabyne Trail Stewardship, the Lake Jindabyne Sailing Club, Jindabyne Yabbies, Lake Jindabyne Snow Dragons, the Rob Kneller Youth Foundation, Jindabyne Community Garden and Lake Light Sculpture Jindabyne to accomplish tasks which would benefit their activities. Additionally, as a part of Vail Resorts Commitment to Zero, Perisher’s EpicPromise Day was a Zero Land-fill event, committing to minimise packaging while sourcing recyclable and compostable products in an aim to contribute zero waste to land-fill through the event. Peter Brulisauer, Perisher’s Chief Operating Officer said “It’s great to be out once again with our staff to give back to our community. 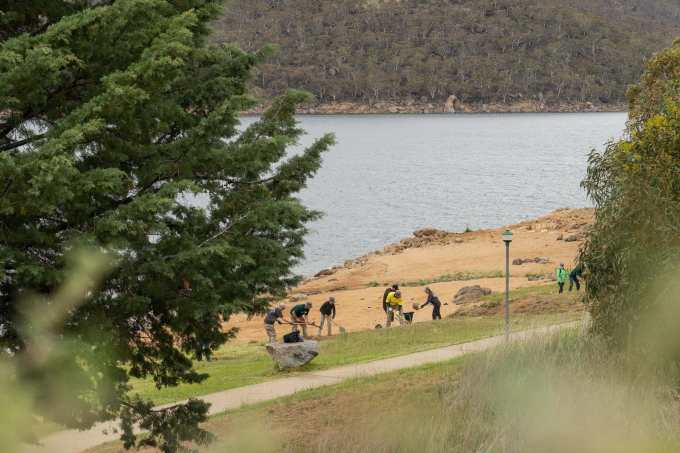 We work here, we live here, and we love it!” Despite the wet conditions, 145 Perisher employees collectively worked 725 hours on building new and improving existing mountain bike trails, cleaning up waste around the Lake Jindabyne foreshore, improving facilities and surrounds at the Lake Jindabyne Sailing Club and the Jindabyne Disk Golf Course. 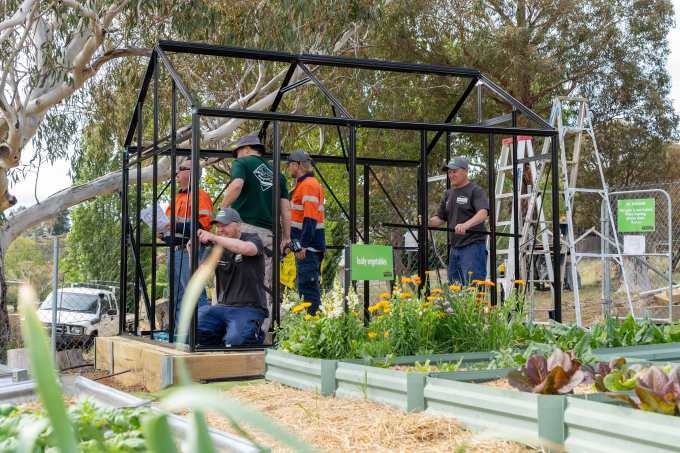 This year a new greenhouse was also erected as part of the Jindabyne Community Garden. 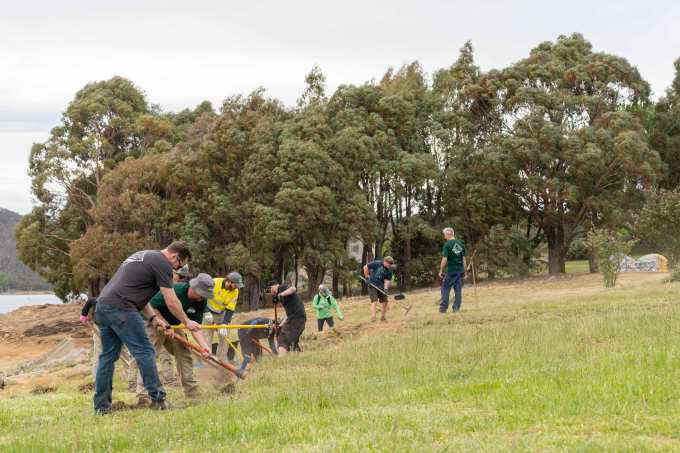 The largest project of the day was a new mountain bike trail connecting existing Jindabyne Trail Stewardship trails with the trail created by Perisher staff during previous EpicPromise Days. The new trail runs from Banjo Paterson Park to the Jindabyne Holiday Park providing a new trail for the community to enjoy. 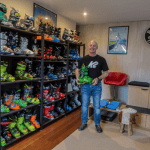 “Perisher teaming up and supporting local groups is great for the community and the town. 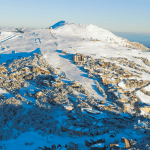 A big thank you to Perisher for their effort and work to improve facilities for everyone to use” said Alannah Dickeson, Recreational Planner for Snowy Monaro Regional Council. Launched in 2016 EpicPromise is aimed at bringing together the mountains, local communities, employees and guests to ignite a passion for the outdoors, conserve the natural environment and support local communities for a bright and sustainable future. For more information about EpicPromise please visit the Perisher website.